Yesterday, we reported on Lenovo's upcoming line-up of five smartphones for MWC 2015, but we've been tipped that there's in fact one more phone that will debut there. As it turns out, the sixth new Vibe member is the Vibe Max, which isn't the same as the Vibe Shot. The Lenovo Vibe Max, as MXPhone.com tipped us, is a big screen device with a 6.0" display boasting QHD resolution. It's performance oriented, but specifics on the chipset aren't available yet. 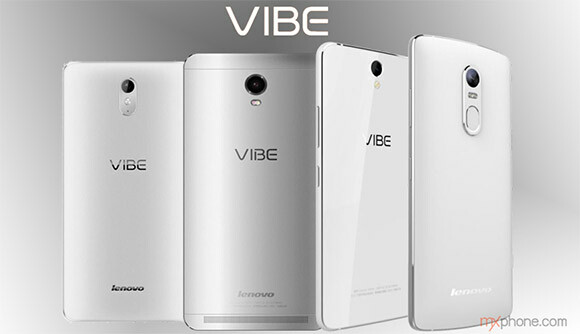 The Vibe Max will be the first Android smartphone from Lenovo to pack a stylus. It's called AnyPen and we suspect it will be able to do some cool stuff, although details are scarce. The Vibe Max also packs a big battery, probably north of 4,000mAh and the phone will include a fingerprint sensor and NFC connectivity. Sadly, photos of the phone aren't available yet. At the Mobile World Congress this year, Lenovo will reveal its 2015 Android line-up including the Vibe S1, Vibe X3, Vibe P1, Vibe P1 Pro and the Vibe Shot in addition to the Vibe Max. Thanks for the tip, Panu Prapathakinee! Haha...u betcha. Should be one of the hidden software coming with the phone.